Each year we provide our take on Halloween Audio Books that you can enjoy as part of the Halloween season. 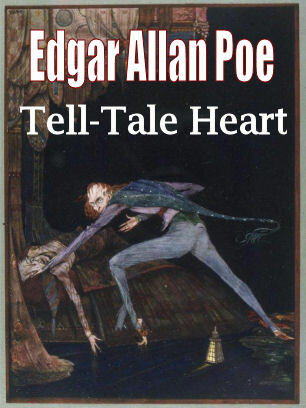 This year I was reminded of one of the classic horror stories that I experienced in my youth, Tell-Tale Heart by Edgar Allan Poe. Being from Boston I saw much coverage recently about Poe and his lack of affection of the Boston crowd back in his day. I have to say I was surprised but I really didn’t know much about Poe except for this tale since Horror can sometimes freak me out. A statue was recently put up in Boston with a Raven as part of it. Poe was born in Boston back in 1809 but moved to Virginia in early childhood and later died in Maryland though he spent time back in Boston in between. 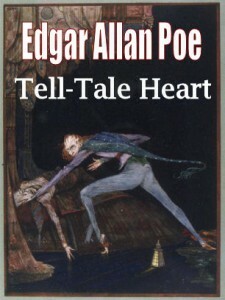 I read the Tell-Tale Heart back when I was in high school and I remember how spooky it was. In audio form it is even more so. 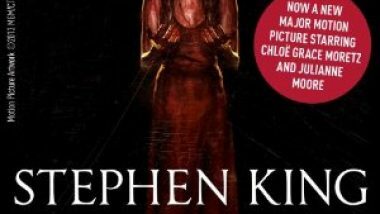 Besides the various previous recommendations for Halloween audio books that we have recommended in the past we have added a page that includes some of the classic scary/horror stories that are often associated with Halloween. We have gotten free audio books in the version of videos that we have included on the Free Halloween Audio Books page. They include not only Poe’s classic but Bram Stoker’s Dracula, The Legend of Sleepy Hollow and Mary Shelley’s Frankenstein as well. Though these versions are fine please note that they are not professional narrators so I have seen that sometimes commenters on the videos have seemed to have expected something more(for free). Audio books are more than just readings and some narrators do a better job of performing than others. Over the years I have noticed how more and more actors are getting into the narration of audio and it is because their talents cross over so well. This is why I chose to include 2 performances in the selection for Poe’s Tell-Tale Heart instead of one of the many straight readings available on Youtube for Poe’s famous tale. Vincent Price was a legendary actor of horror back in his day and hearing the tale with his voice definitely enhances the experience. Enjoy and we will add more free audio books as time goes on! Abridged versus Unabridged Audio Books : Why Should You Care?